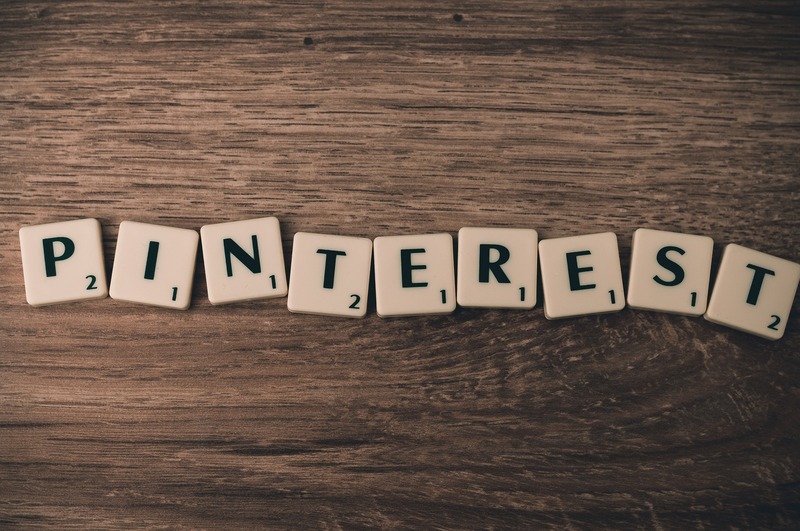 Pinterest is a social media platform that enables people to share an interest and even discover their interest not to mention get the inspiration to try new things. The platform is mainly pictorial based, where you pin images and videos to your board and other people like them or even buy products. Established in 2010 by its founder, Ben Silbermann, the social platform has seen tremendous growth over the years and it has continued to unite people all over the world. The platform has attracted both individual users and corporates. Hence one can use it not just to get feedback on their pins but also feedback on their ongoing projects professionally and in the corporate field. It’s also a way of selling products online, as the users could trace the pins to the websites they are posted from and inquire more about them or make a purchase altogether. Users can enjoy among other features, uploading their images, saving those they love, sorting and managing their pins on their boards and even sharing with their friends. Often, any user considers using the platform to share a few images they like, without going out of their comfort zone or exploring new ideas. However, just doing something that other people have not considered could be your way of winning more people to your side. Hence instead of posting one or two images, why not collect a few of your images, make a good collection then showcase them all? Friends are essential in helping anyone make decisions, and in the Pinterest, your followers can play this role perfectly. When you are torn in between the image to select say for a given purpose. Pin the few you have, then check out that which gets the most likes, your decision will be much easier. In the event you are organizing an event and would love the contribution of others in the group, Pinterest is the platform you need. Take, for instance, you are planning a wedding, and would like to have the contributions of saying the bridesmaids. By creating a board, then pinning your ideas, and asking them to contribute, you will have a collaboration that will be quite useful in your final decision. This is essential especially in the corporate world, more so with ongoing projects. Pinterest will help you keep track of your project’s progress, from the start to the end. This way, you will be able to decide on the next step to take, or even identify a few gaps hence taking care of them before completion of the project. A social media platform in many cases is used to connect loved ones, makes new acquaintances and for Pinterest get inspiration. Finding a platform you identify with, freely share your interests is hence essential and so don’t just sign up for the sake of it but find inspiration and forget not to inspire others. At some point, we all find ourselves in a hostile environment, whether it’s at home, at work, or at school. While we may not be able to control the people who are creating the toxic and tense environment, there are ways of coping and making the situation more tolerable. Here are just a few tips for surviving a hostile environment. To get away from the constant negativity, look for a place you can escape to for a few minutes. You may be able to do this by walking outside and breathing in the fresh air for a few minutes. If you can’t go outside, take a few minutes to walk around the building’s interior. If your hostile environment is loud and unpleasant, shut out all the anger using headphones. Instead of listening to fighting, listen to soothing music. If listening to music isn’t an option, wear earplugs to drown out the sound. Be sure to protect yourself. If your problem is at work or school, make certain you document everything that goes on. In the event an issue pops up later, having accurate records detailing specific events, such as deliberate mistreatment, sabotage, unmet deadlines, and perceived abuse, will make it much easier to back up your story. After all, anyone can say their environment is hostile, but unless they have actual documentation to back it up, it is likely to turn into a “he-said, she-said” situation. Don’t downgrade the importance of positive thinking. Regardless of your circumstances, staying positive is crucial to surviving your environment. It may also help relieve any depression or stress you are feeling beneath the surface. Look for good people to surround yourself with. Having the support and encouragement of others can give your entire mood the boost it needs to cope with a hostile environment. You may even look for people who have been in a similar situation and can offer some advice, while also helping you realize that you are not alone. Sometimes the best way to respond to a hostile behavior is by not responding at all. This is particularly true if you are being bombarded with hostile criticism. If you feel like you have to say something, opt for, “Thanks for your opinion.” Then, turn and go in the other direction. This lets you confront the problematic behavior, while also gaining your own power in the conversation. Considered the unofficial start to the holiday shopping season, how Black Friday got started is much different than you probably thought. In the 1950s and 1960s, the term was used to describe the confusion and commotion that would hit the streets of Philadelphia the day after Thanksgiving. However, people weren’t out in search of $20 iPads and $100 50” HDTV TVs. Instead, they flocked to the city for the Army-Navy football game that was always held the Saturday following Thanksgiving. Stores would often experience an increase in shoplifting as shoplifters took advantage of the chaos on the streets. It wasn’t until the late 1980s that the term caught on across the country and retailers tried to reinvent it as a positive day. Around this time, the term “Black Friday” was used to mark the time of year when American stores started to turn a profit (going from red to black), though they didn’t necessarily see their highest sales. (The Saturday before Christmas typically has higher sales.) However, businesses took advantage of the term and begin to offer major sales with the hopes of getting more customers through the doors. It worked! It wasn’t too long before Black Friday gave way to Cyber Monday and Small Business Saturday/ Sunday. In fact, Black Friday has become so celebrated in the US that stores have tried to outdo each other by opening earlier and earlier, with many opening Thanksgiving evening. 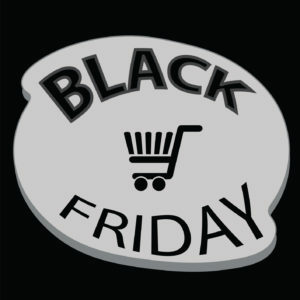 Interestingly, the Black Friday “holiday” is celebrated in more than 20 other countries, including Australia, Canada, the UK, and Mexico, despite the fact they do not celebrate Thanksgiving. Every holiday, many people will put a lot of thought into what to get for their boyfriends, girlfriends, or spouses. Culturally, the gift that a person chooses for a significant other is often treated as a test of how well the two people know each other, so people feel a need to prove themselves when it comes to gifts for their loved ones. There’s a lot of pressure to find sufficiently thoughtful gifts that will properly commemorate the occasion. People that are new in a relationship may make the mistake of trying to buy a generic gift for a man or woman at first. When buying gifts, asking what men want or what women want is usually only going to get a person so far. Taking individual preferences into account is much more important and much more useful. People early in relationships usually aren’t going to be too harsh to one another when it comes to gift selection. There are a lot of factors that can influence a person’s gift preferences. Some people love luxurious items, while other people are more casual about what people purchase for them. Often times, people will want gift items that reflect their interests. Buying art supplies for a spouse, boyfriend, or girlfriend that is into art will often produce good results, especially if that person has a practical approach to gift-giving. Some people like gifts with a lot of sentimental value, while other people prefer gifts that have more utility. There are some people that love gift cards, and other people that consider them inadequate gifts. Loved ones will be able to find the information that they need over the course of their lives together. Many people are also willing to directly talk about their gift preferences and gift opinions, and there’s usually no harm in asking. People need to face their fears in life, it is perhaps the only way that they are going to grow. It will make them into better people in the end as they can finally take control of their life and be confident that they are heading in the right direction. The only way that you will ever get the life that you want is by facing your fears. Many people fear stress in life as they think that it is a bad thing whereas the reality might be completely different. In actual fact, stress has been proven to help a person grow and become more realistic about the things that face them. They need to think quite carefully when faced with stress and in a lot of people it results in a ‘fight or flight’ response which can be the making of people. There is something called post-traumatic stress growth which is where a person grows as a person from the stress that they have experienced. The stress that they go through can be mild but normally it is facing their fears which makes a person grow in stature and as a person. It makes them more resilient against future troubles, become themselves and also gain a greater appreciation of life. Stress can be one of the best things in the world and facing your fears is one way to bring these benefits to you. There is certainly a spiritual aspect to facing our fears as well such as when Jesus sacrificed himself for the good of the people when he was crucified. This led him to be sacrificed but if you follow the story on eventually he rose from the dead and was reborn. A similar analogy could be used for us facing our fears. At first it will nearly kill us but then eventually we will emerge from it stronger and happier. “Make a New Year’s resolution!” There is a good chance that you heard this phrase for as long as you can remember, but most of us have no idea why. With the New Year right around the corner, let’s look at the history of resolutions, as well as examine how you can increase the likelihood that you will stick to your New Year’s resolution. You may be shocked to find out that people have been setting resolutions for more than 4,000 years. Initially, the New Year was celebrated by the Babylonians as part of an eleven day celebration in March. Resolutions were made in the hopes of gaining good favor from the gods for the upcoming year. In most cases, they resolved to get out of debt. In 46 B.C. Julius Caesar moved the first day of the year to January 1 in celebration of the Roman God of Beginnings, Janus, and the tradition of setting resolutions continued. Although you can choose your resolutions at any time, you set your plan in motion at 12:01 am on January 1. When setting your resolution, it is important to reflect on what changes you would like to make instead of simply choosing the first thing that comes to mind. Above all, it is crucial to make realistic goals. For example, don’t set a resolution to work out seven days a week if you currently don’t exercise at all. Start smaller, such as setting a goal of exercising three or four days a week. This increases your chances of sticking with it. It is also important that you only work on changing one behavior at time to prevent getting overwhelmed. Additionally, don’t be afraid to discuss your resolutions with others and ask for their support. Although you can truly do anything if you put your mind to it, sharing your successes and struggles will make it easier to meet the goals you have set for yourself. If You Slip-up Accidents happen. It’s just a fact of life. It’s important that you not give in to a desire to give up simply because you have made a minor misstep. So, you skipped the gym for an entire week because you had so much other stuff going on? Now, it’s time to head back to the gym. You will experience both ups and downs with your resolution. The key is to recover from your misstep and get back on track. You can do it!